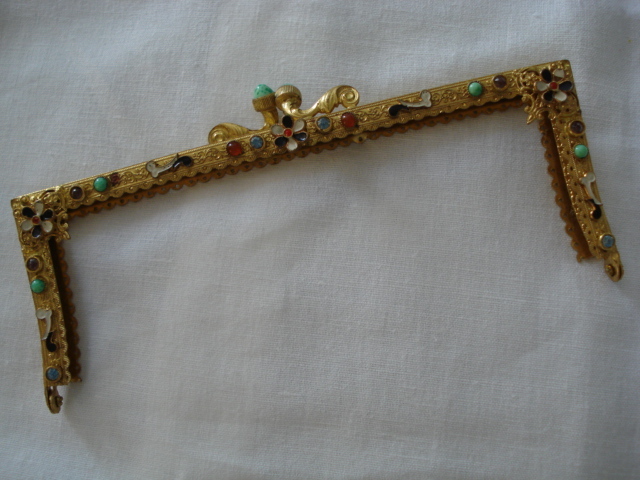 I would like to think that this lovely antique handbag or evening purse frame will be used on a beautiful fabric to make a truly unique and special bag for its new owner. If I could sew I would be keeping it! 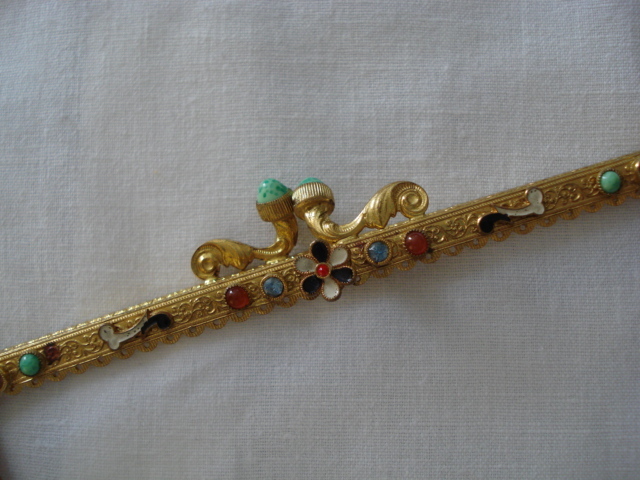 It is most likely Bohemian or French but it is quite hard for me to tell its age. It could be 1920's or maybe a 1950's revival or that earlier style. 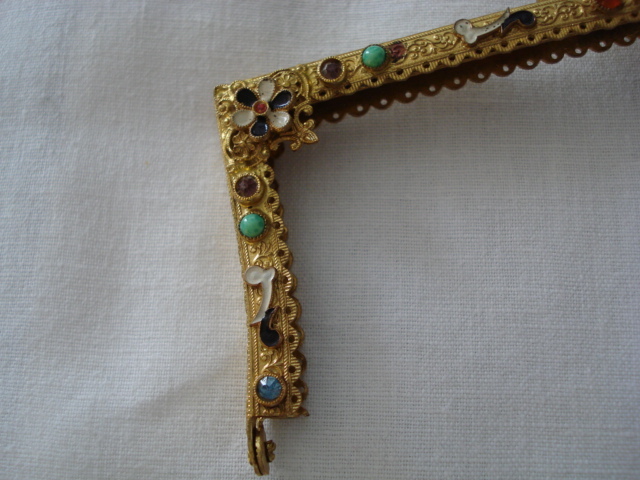 This handbag frame is gold plated with cold enamel flower detail and it is set with lots of lovely glass gems - mottled green Pekin Glass, faceted pale blue faux sapphires, mauve faux amethysts and little cabouchon gems to imitate warm carnelians. 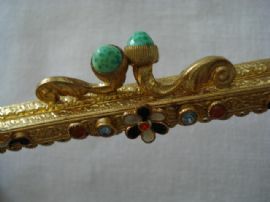 It is ornate and special. 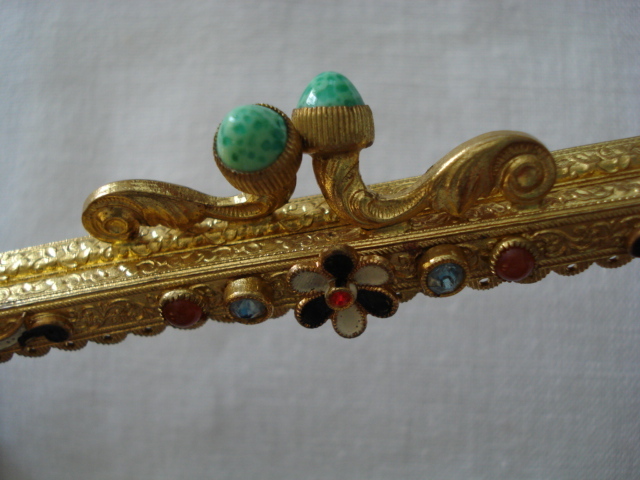 The frame fastens with a 'kissing' type clasp topped with two acorn shaped Pekin glass gems. There are lots of small holes along the frame for you to stitch to. 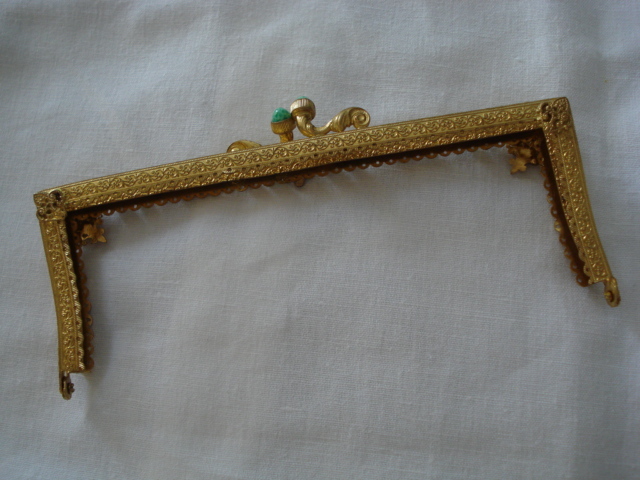 The frame measures 14cms by just over 6cms. It is in 'as new' order and is ready to use for your special sewing project or just to add to your vintage or antique handbag collection.